Quality Air Heating and Air Conditioning > Articles > Holiday > Happy New Year’s Eve! Everyone at Quality Air Heating and Air Conditioning wants to wish you a very happy New Years! We hope you have a fun (and safe!) time saying goodbye to the old year and welcoming in the new. If you are a person who makes resolutions, why not try to make your home more environmentally-friendly next year? Upgrading your heating and air conditioning system can reduce the amount of energy you need to keep your home comfortable. You can also save energy by adding insulation and sealing any air leaks. A greener home is not only better for the environment, but it also saves you money by reducing your utility bills. 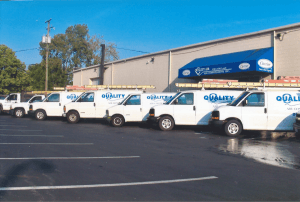 Call Quality Air Heating and Air Conditioning to learn more about the benefits of upgrading your HVAC system.